Pipe brushes are used in plumbing and equipment maintenance applications to clean pipes or other heard to reach areas. The brush is usually attached to a long, thin piece of metal than can be inserted deep into a pipe. Ideally the diameter of the brush is equal to or greater than the diameter of the pipe. Pipe Brushes Pipe brushes are used in plumbing and equipment maintenance applications to clean pipes or other heard to reach areas. The brush is usually attached to a long, thin piece of metal than can be inserted deep into a pipe. Ideally the diameter of the brush is equal to or greater than the diameter of the pipe. Pipe brushes are also used as part of an automated cleaning system in recycling plants to thoroughly clean bottles and other containers that will be reused in the future. Rather than having a handle on the end, these brushes are attached to a motor that rotates them at high speeds. There are several other types of pipe brushes including double-stem, side-action, and micro spiral. 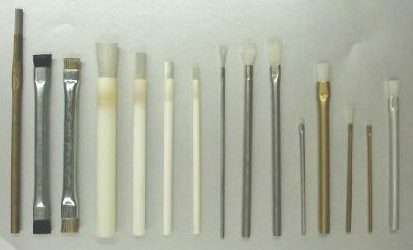 A double stem pipe brush can be made from a variety of wire or synthetic materials and is more durable than a single stem. 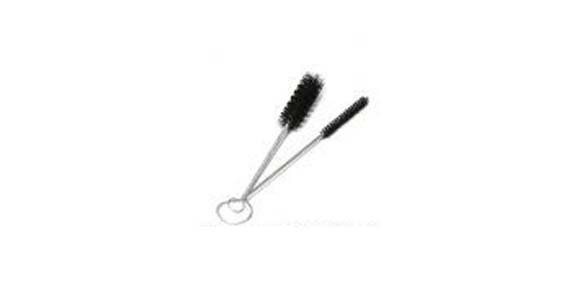 A side action brush has a strong stainless steel stem and provides a high degree of stiffness. 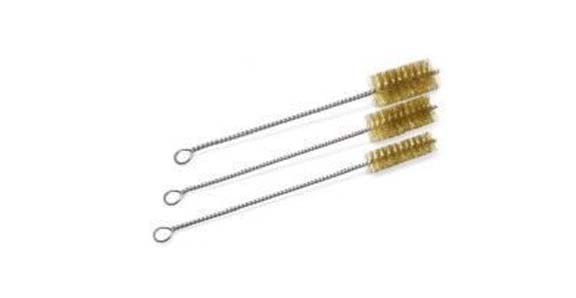 As the name suggests, micro pipe brushes are very thin and are used for unique applications like cleaning the barrel of a firearm. Most plumbers use pipe brushes that have a certain degree of flexibility so that they can clean drain pipes and other pipes that have curves in them. A flexible brush is able to bend with the curves and conform to any shape necessary. Spiral patterned pipe brushes are usually made with synthetic brush materials and they often have an attachment on the head so that they can be used with power drills. The fast rotation created by the drill instantly turns a normal pipe brush into a very powerful cleaning tool. Pipe brushes can be made with a variety of materials for light to heavy duty applications. For heavy duty dirt and contamination removal, wire brush bristles are best because they will scrape the walls of a pipe clean.